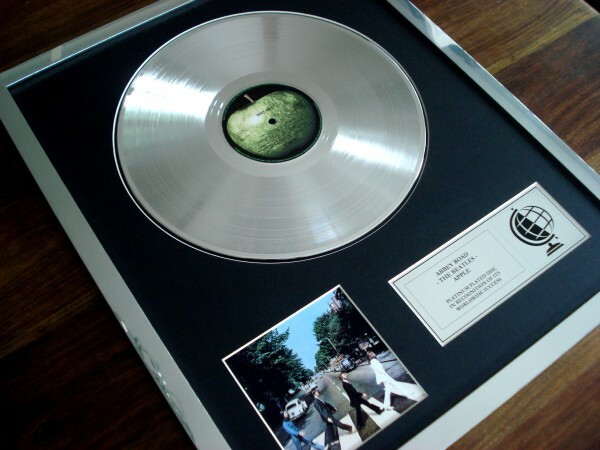 Using only mint original vinyl albums, each disc is platinum plated to the same high standard as official awards, then mounted and housed in a chunky 20" x 16" silver chrome-fx frame. 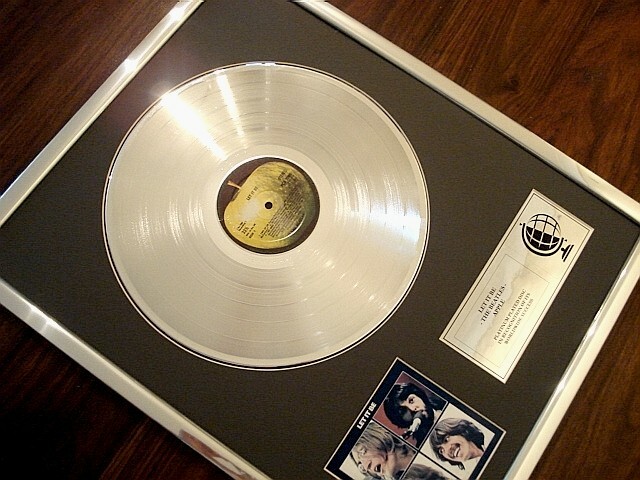 Each platinum disc comes complete with album cover picture and silver plaque displaying the title, record label and sales information. A certificate of authenticity is attached to the back. 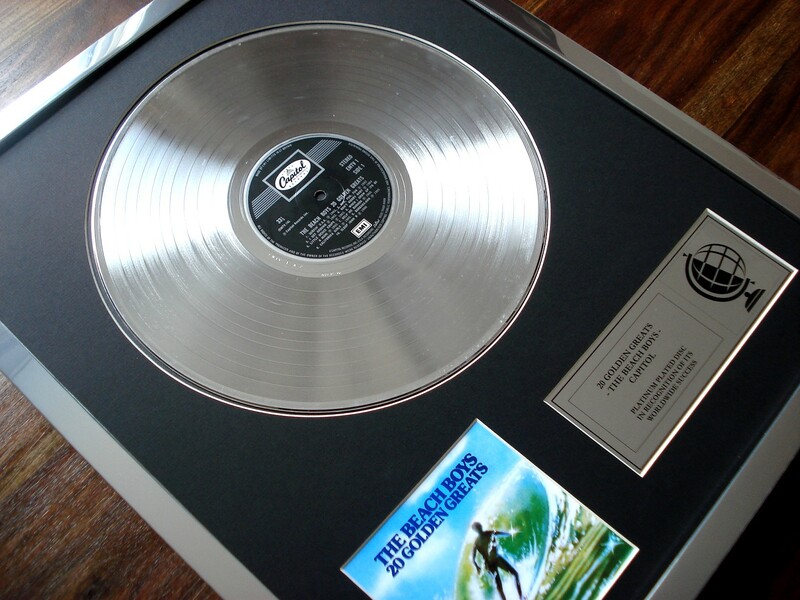 Whether it be to celebrate a wedding, birthday, anniversary or just for yourself, our platinum discs are perfect for any occasion. At no extra cost, the plaque can be changed to include any message of your choice. All mounts are hand cut bevel edged mat surrounds. Frames are glazed with high quality styrene glass to prevent breakages during transit. Please input the required artist and album title below. 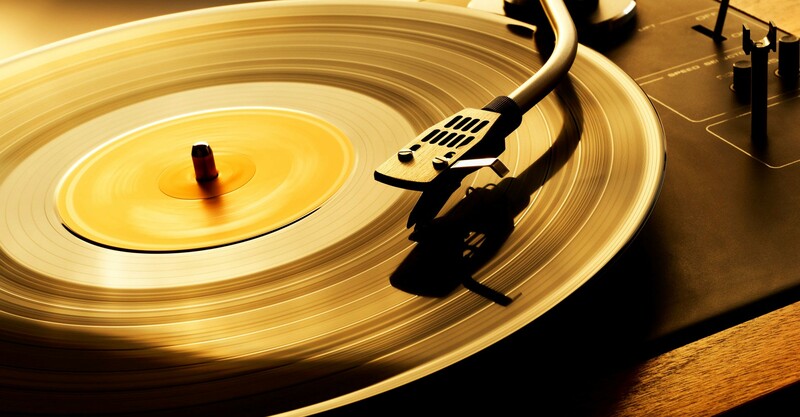 Please note, most modern artists do not release albums on vinyl, though we may be able to replicate a label. 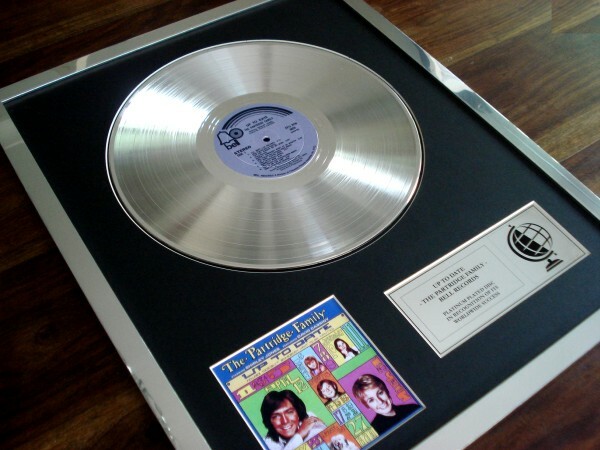 Please email us separately if you would like a personal inscription on the plaque. 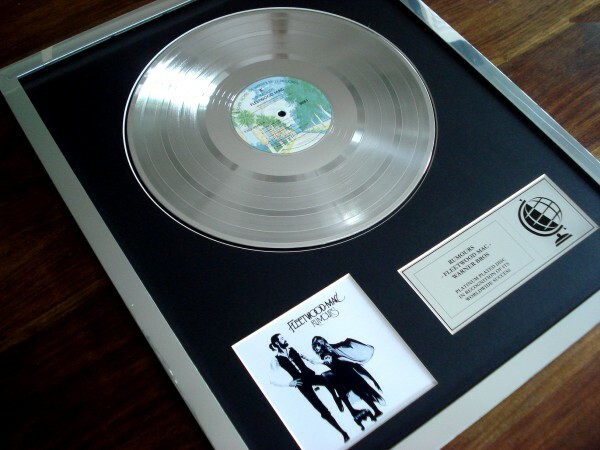 All platinum discs are open edition and are actioned upon from order, so please allow up to 14 days for despatch. 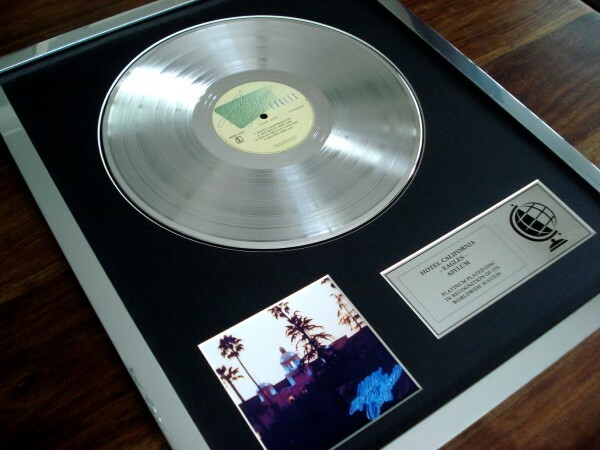 The price includes us obtaining the required album on your behalf. Post and packaging will be added on the checkout page. Please note, our discs are not affiliated with the B.P.I. or any other music industry.